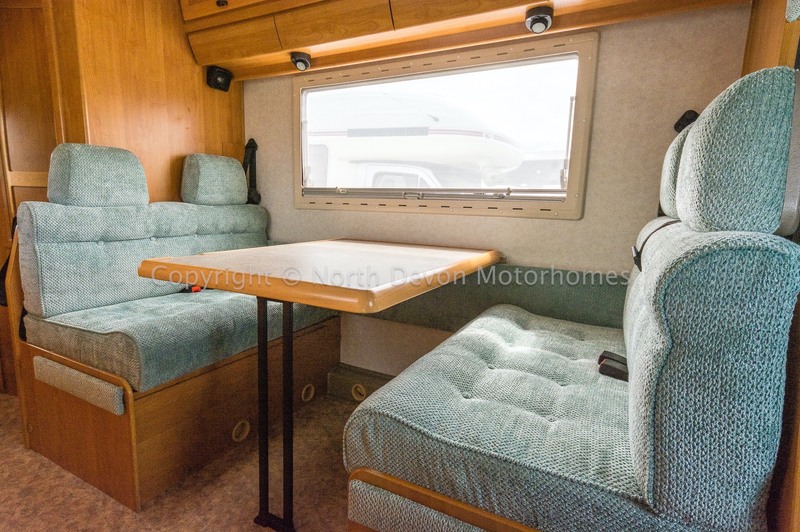 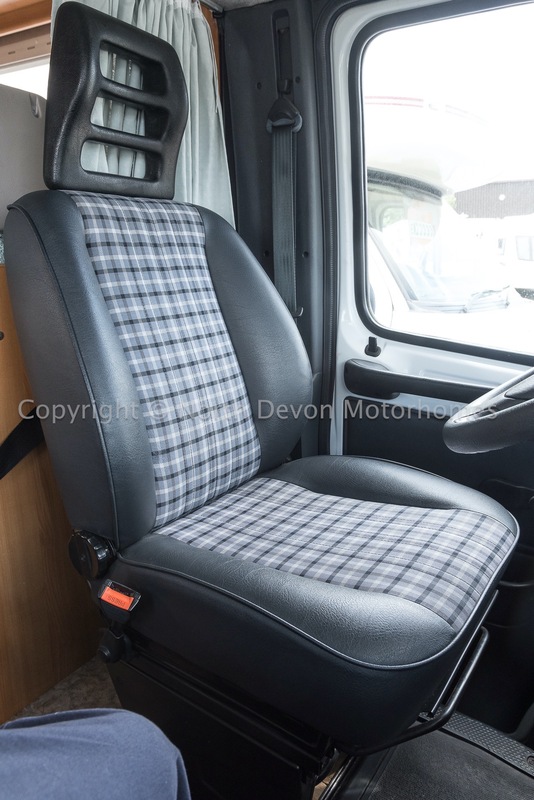 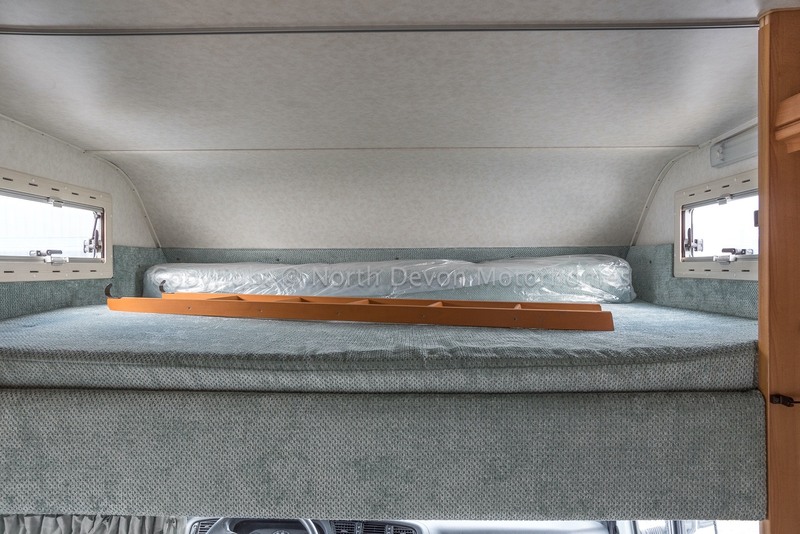 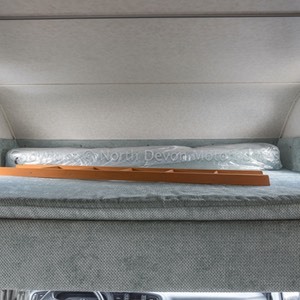 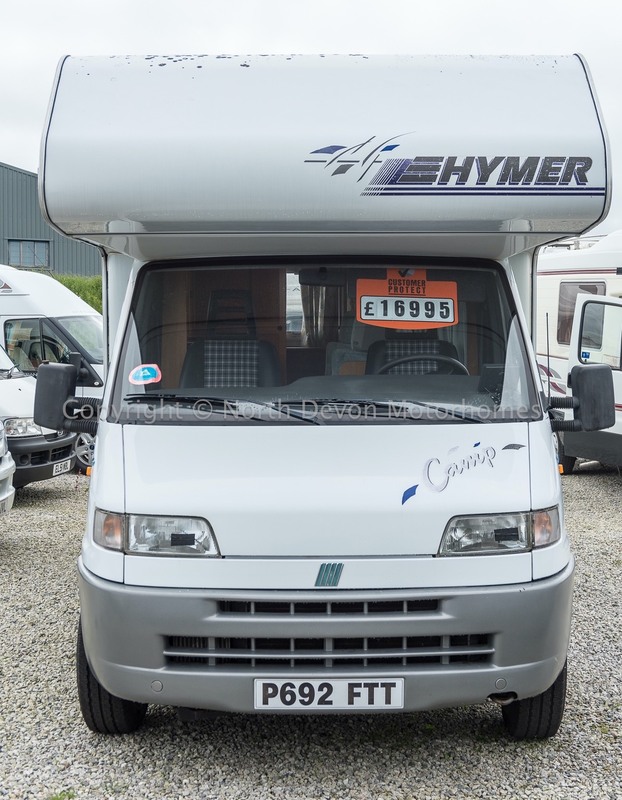 A beautifully kept loved and cherished coachbuilt with a really nicely re-upholstered interior. 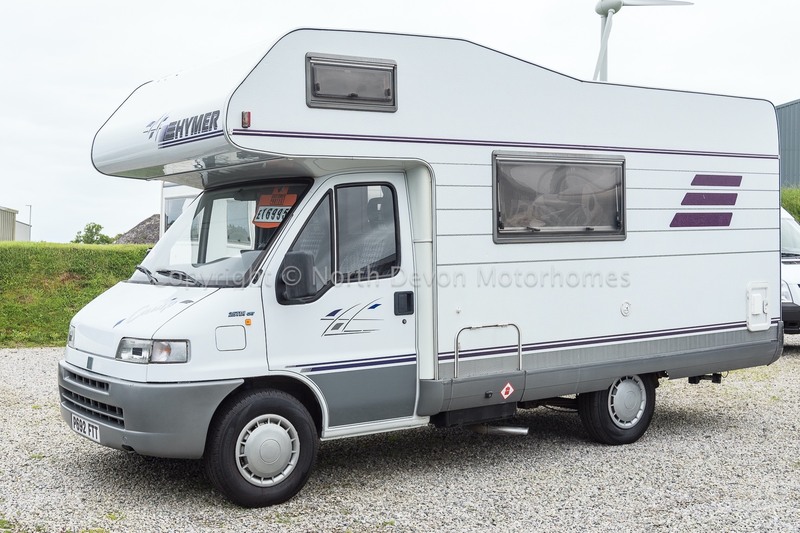 Ideal for a European tour being Left hand drive, based on lively Fiat 2,5 TDI. 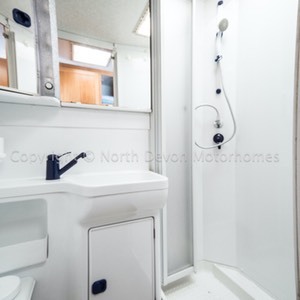 A fabulous layout, making good use of space, with an above average, large rear washroom. 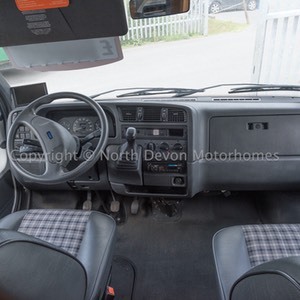 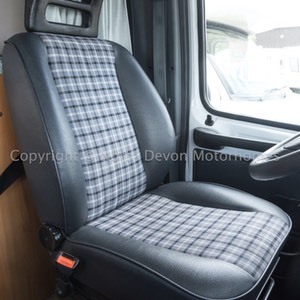 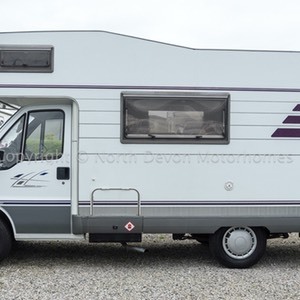 The overall condition of this vehicle is really quite exceptional for its age and mileage, and although not a low mileage vehicle it is still very attractive and I am sure will give many more years of enjoyable service. 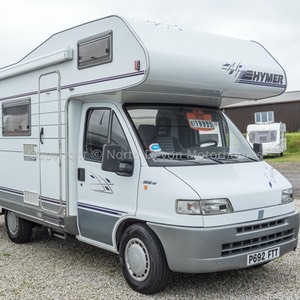 Fiat 2.5TDI Cat, Left hand drive, approximately 100,000 miles, reversing camera, power assisted steering, stereo. 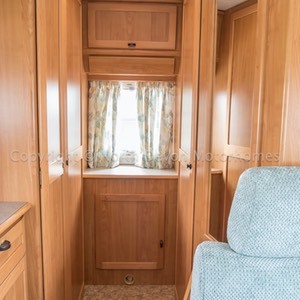 4 berth, large fixed double over the cab. 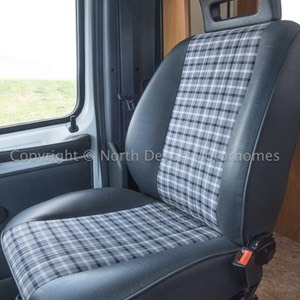 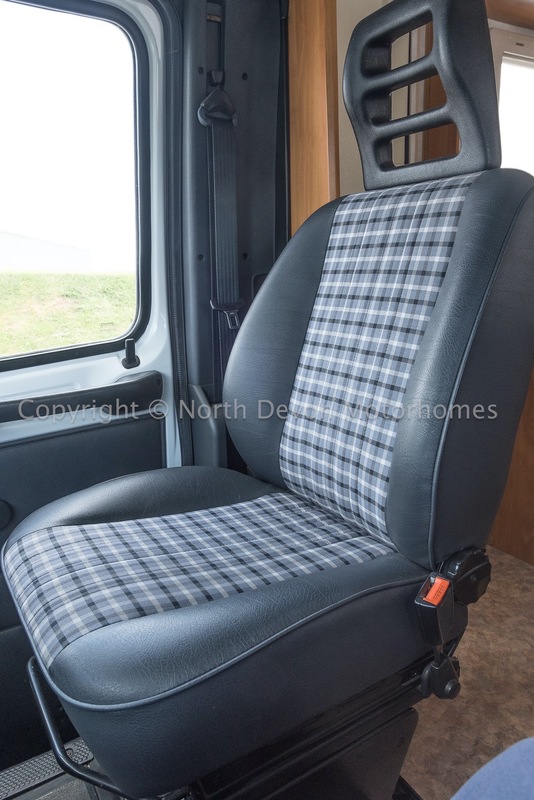 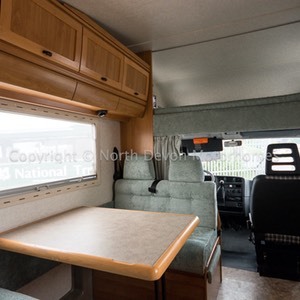 Centre dinette form either 1 large single or a comfy double with an additional cushion/extension. 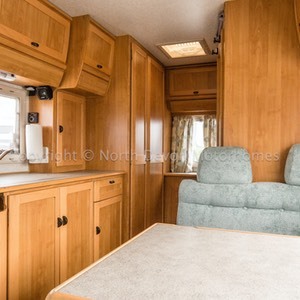 End washroom, centre galley kitchen, opposing dinette/lounge, large over cab fixed bed. 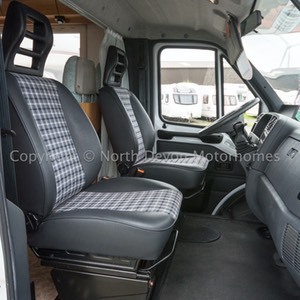 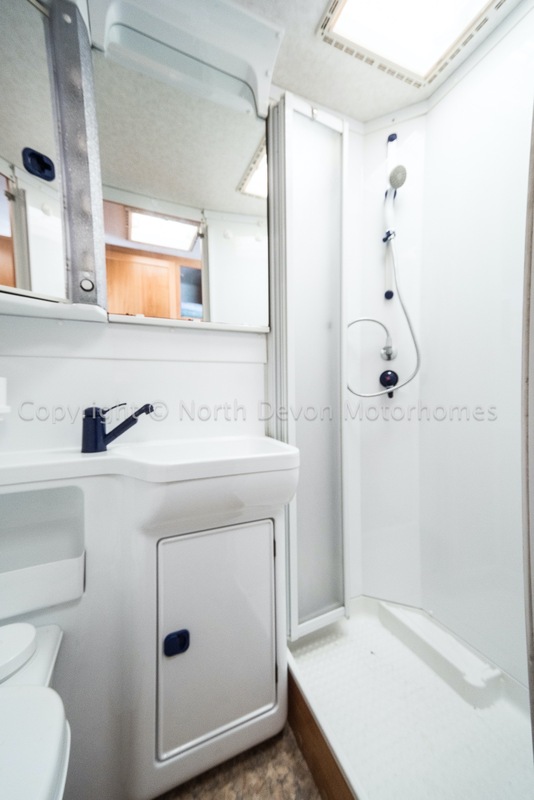 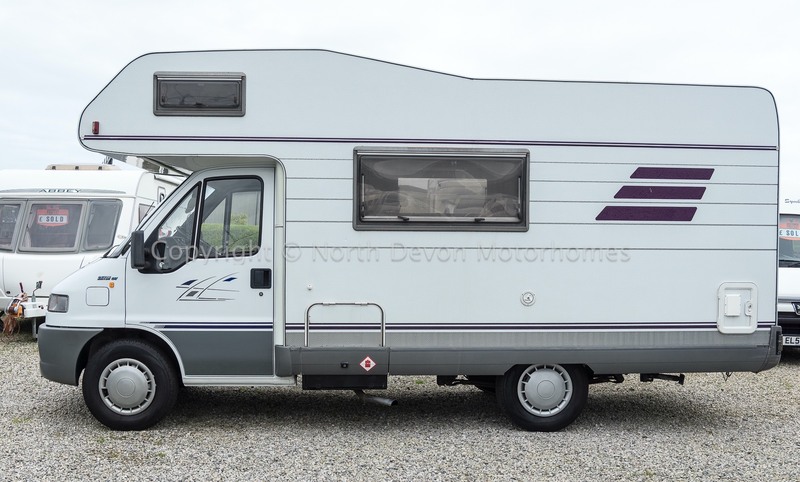 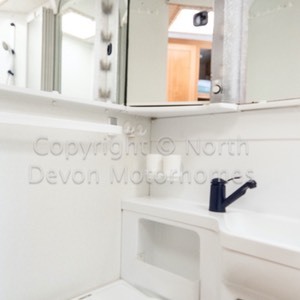 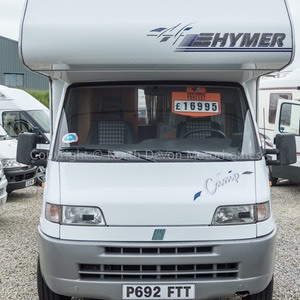 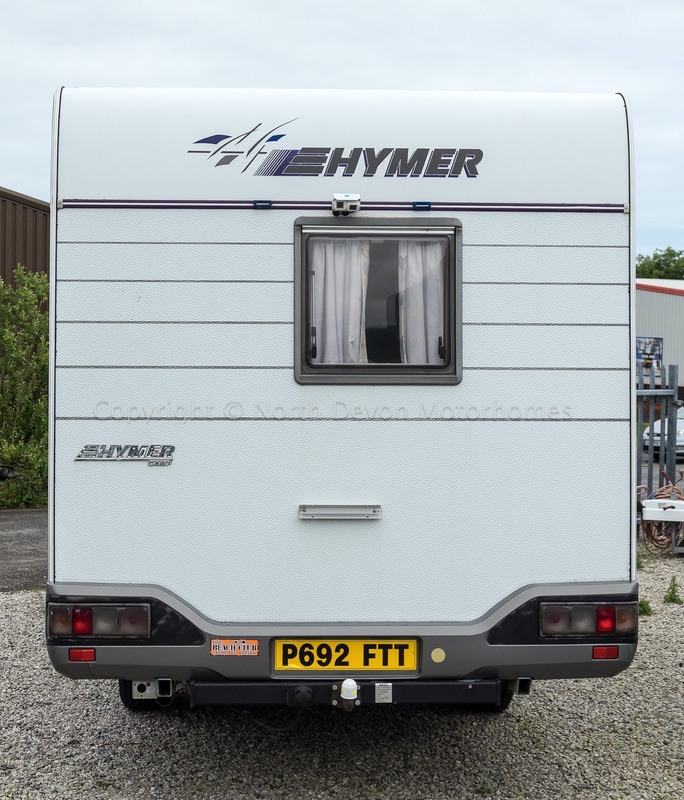 Large spacious washroom with a separate shower, cassette toilet, moulded sink with storage under, skylight, mirrored vanity unit, 12v strip lighting and hot air heating point. 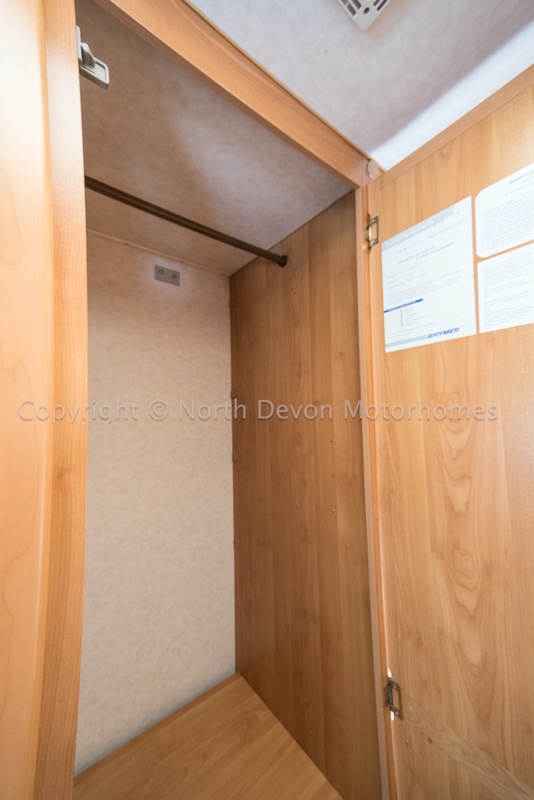 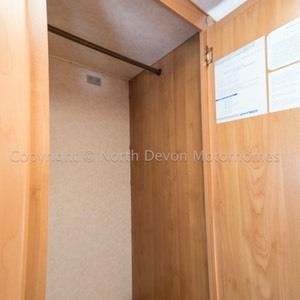 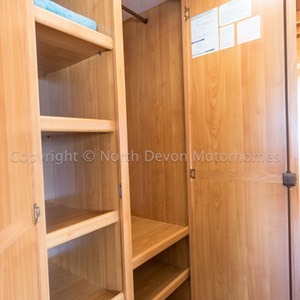 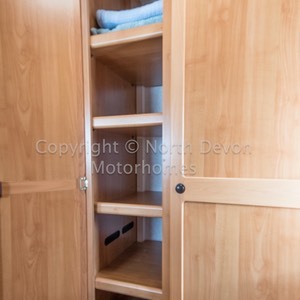 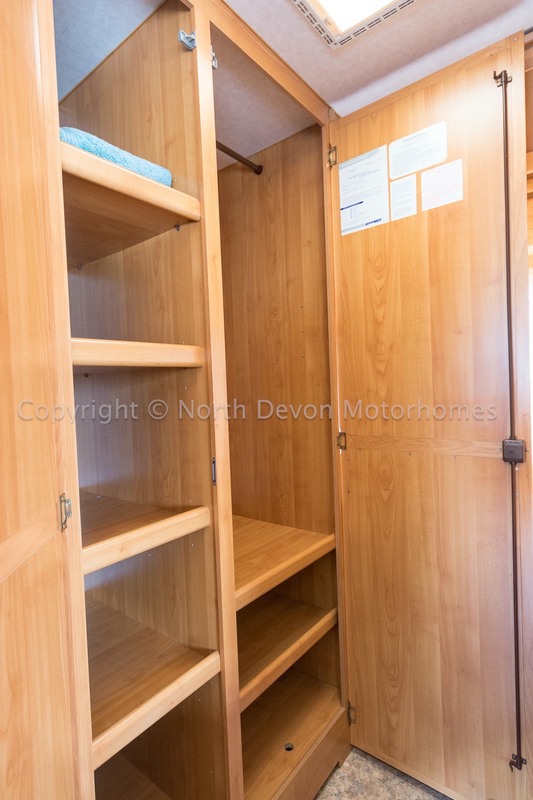 Opposite the bathroom is good size storage and wardrobe with hanging and shelf set, further storage at rear of the van at low level. 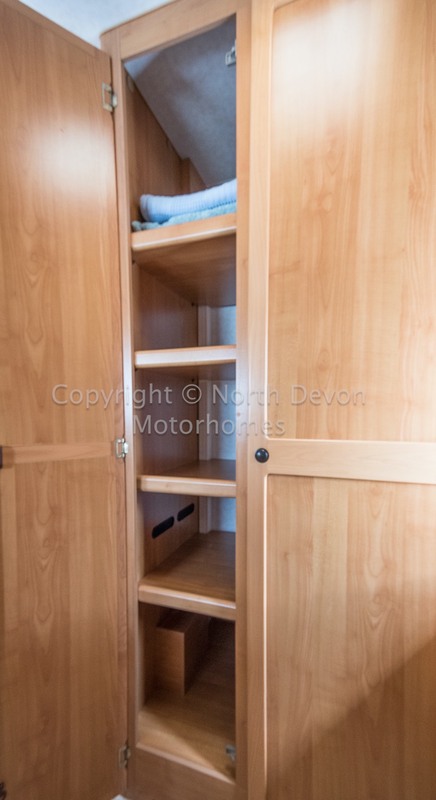 High level lockers and some useful under-seat storage. 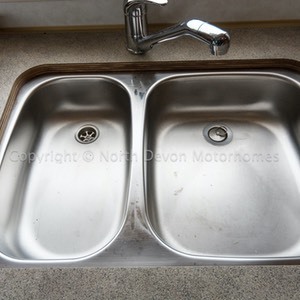 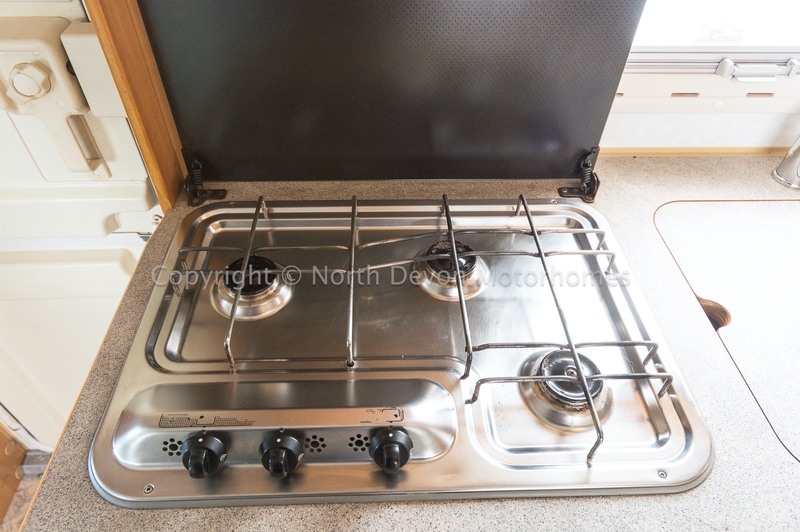 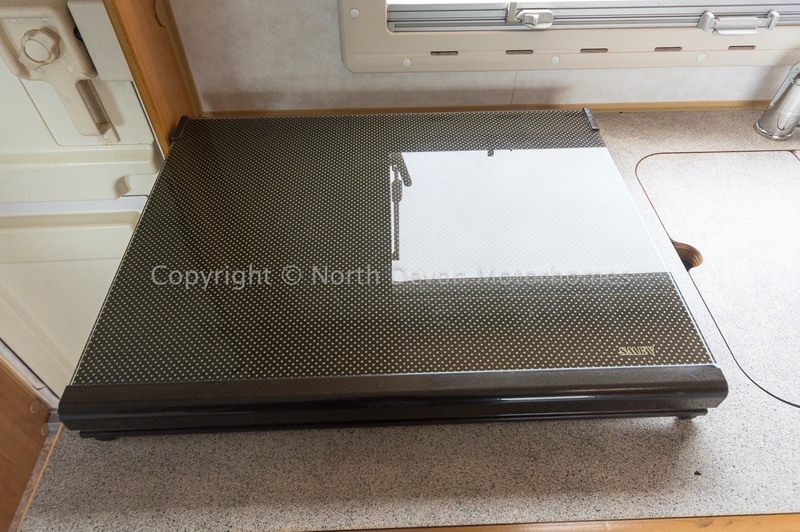 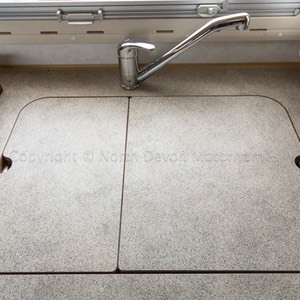 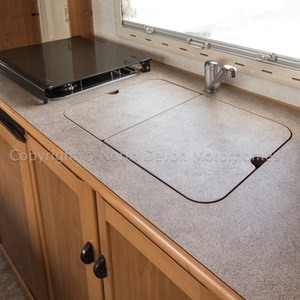 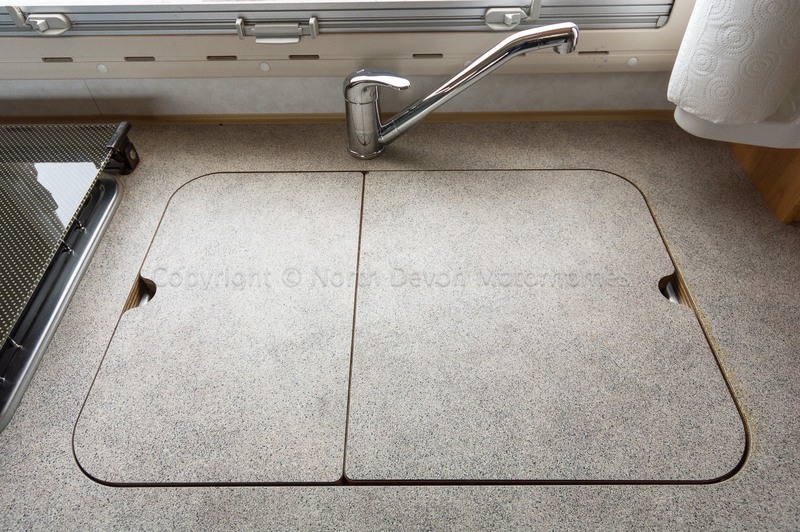 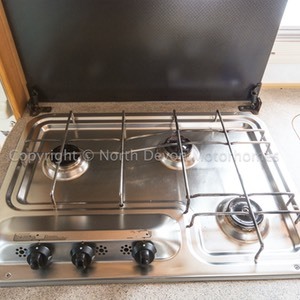 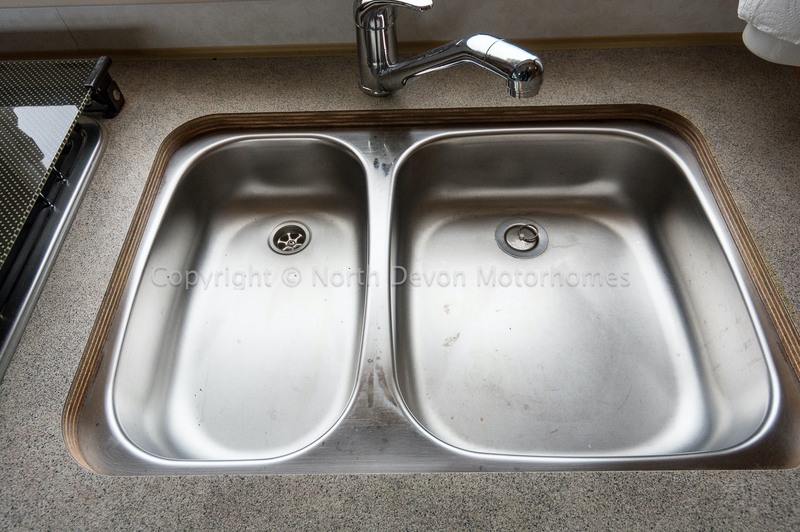 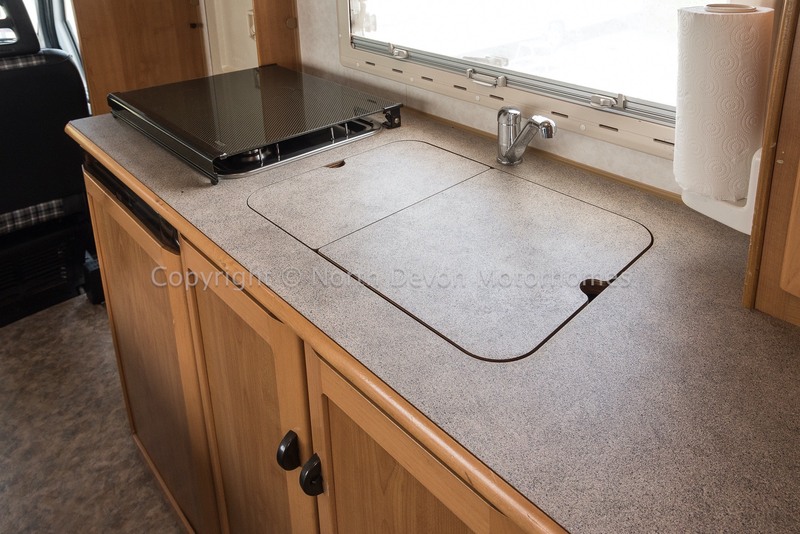 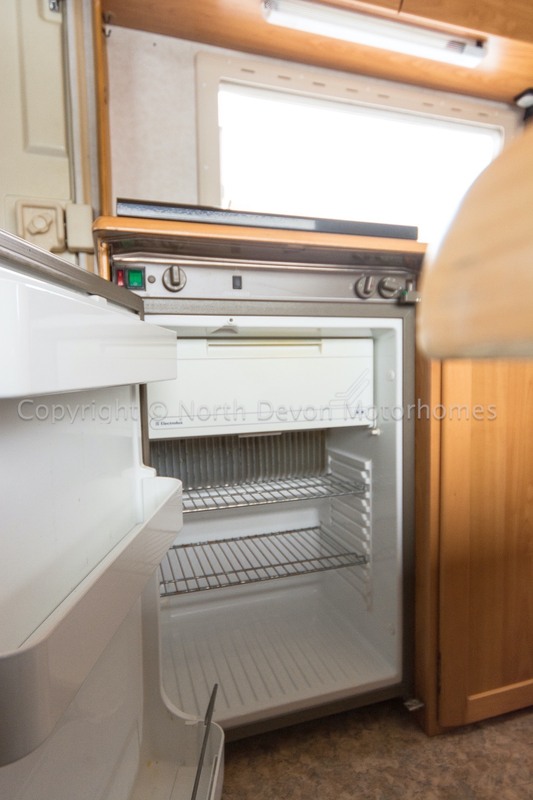 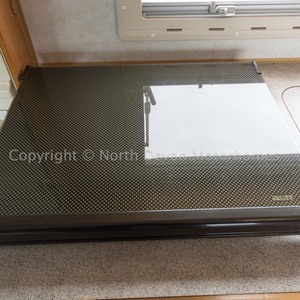 Nice galley kitchen with 3 burner hob, 3 way fridge, 1 1/2 bowl sink and storage under. 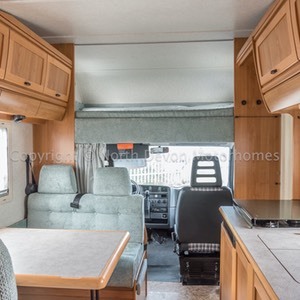 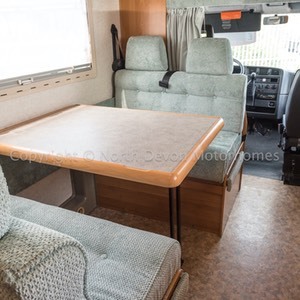 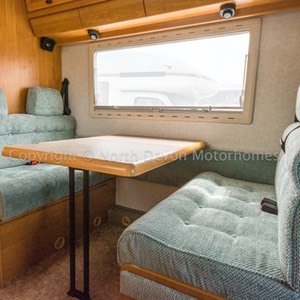 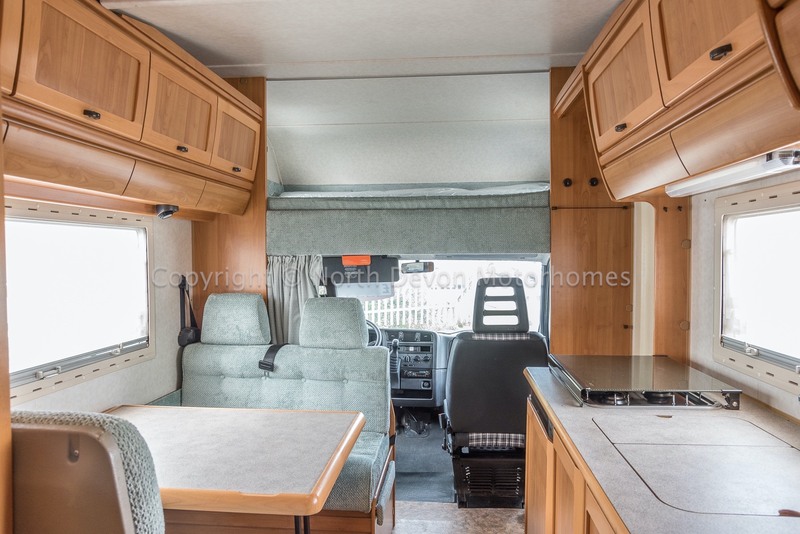 Full Pullman dinette, comfortably seating 4 around large table, high level lockers, skylight, two large opposing windows, helping to provide good natural light. 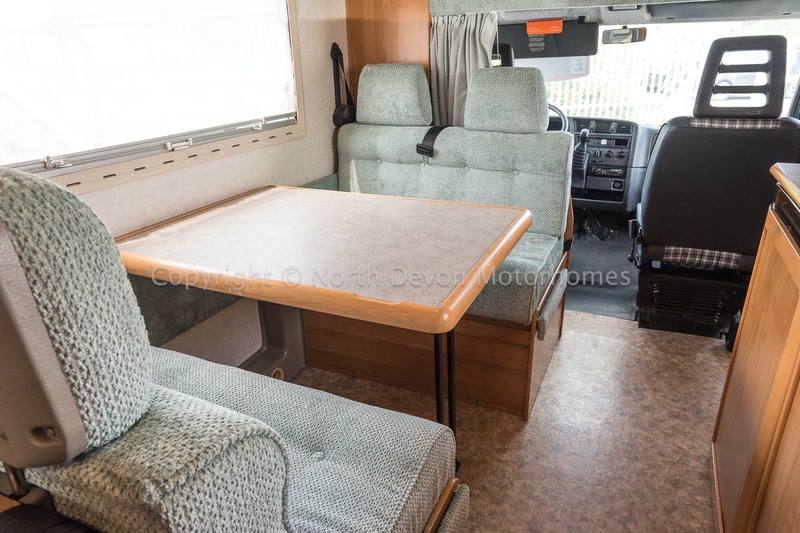 Large double bed over cab, opposing windows and 12v lighting. 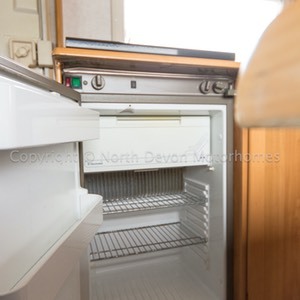 Trumatic combi boiler providing hot water and hot blown air heating throughout. 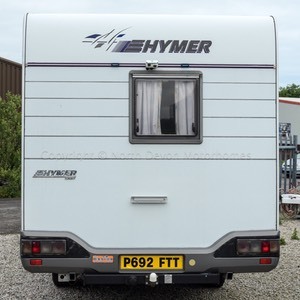 Air ride suspension, tow bar, awning, silver screens. 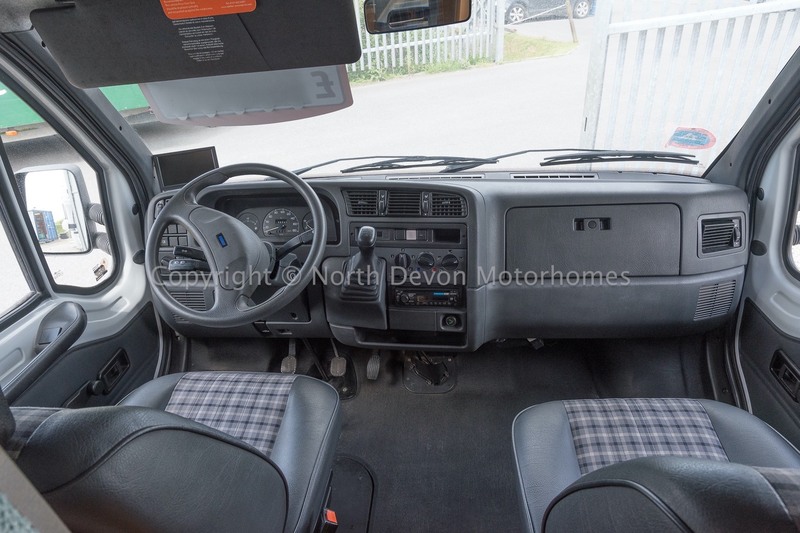 An extremely useful vehicle, that’s really in exceptional condition for its age. 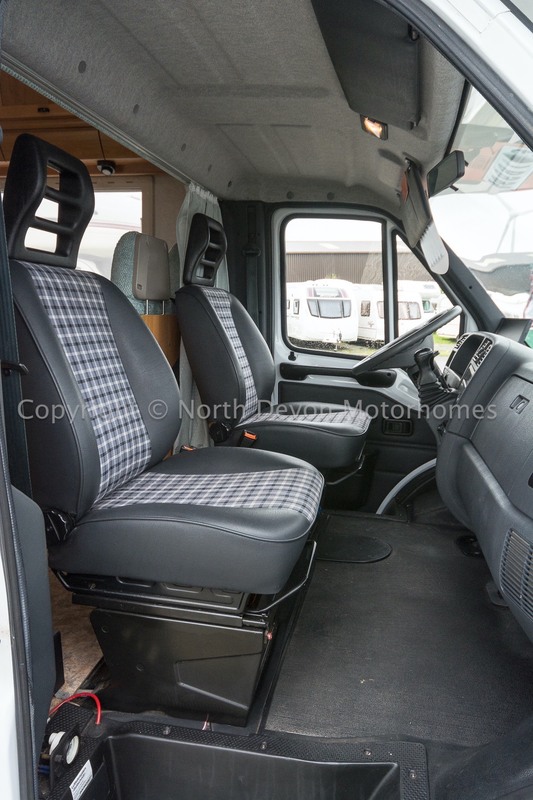 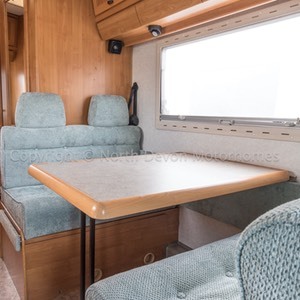 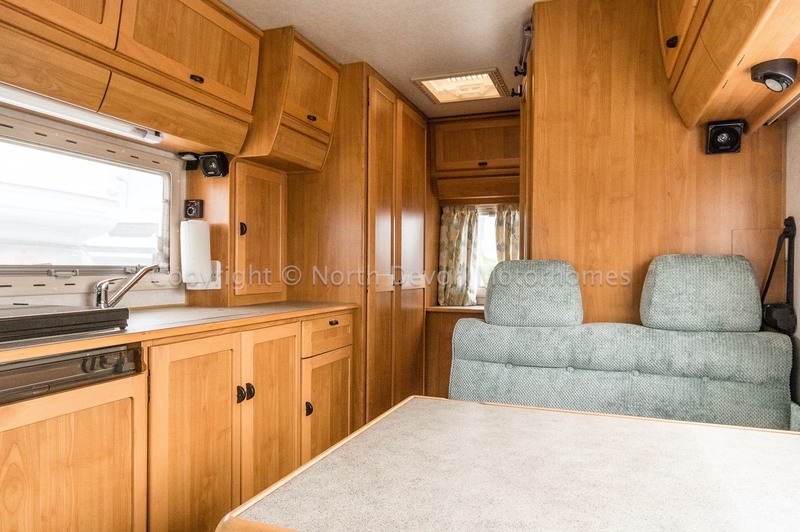 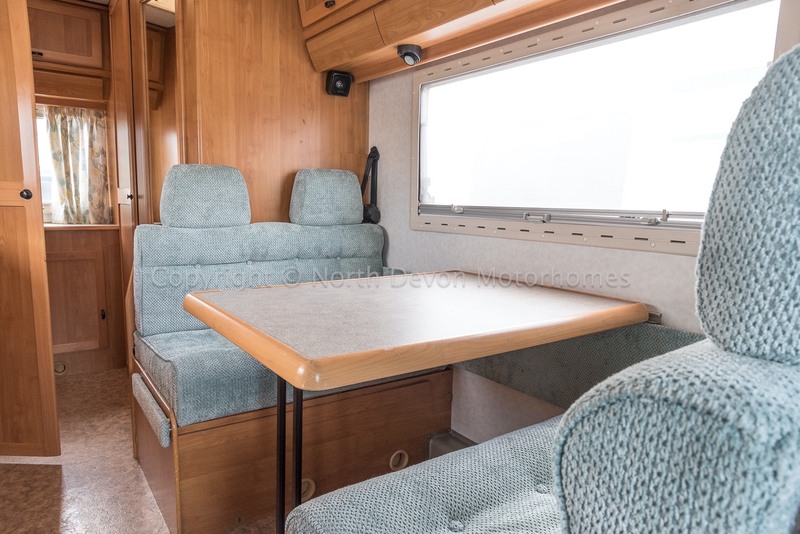 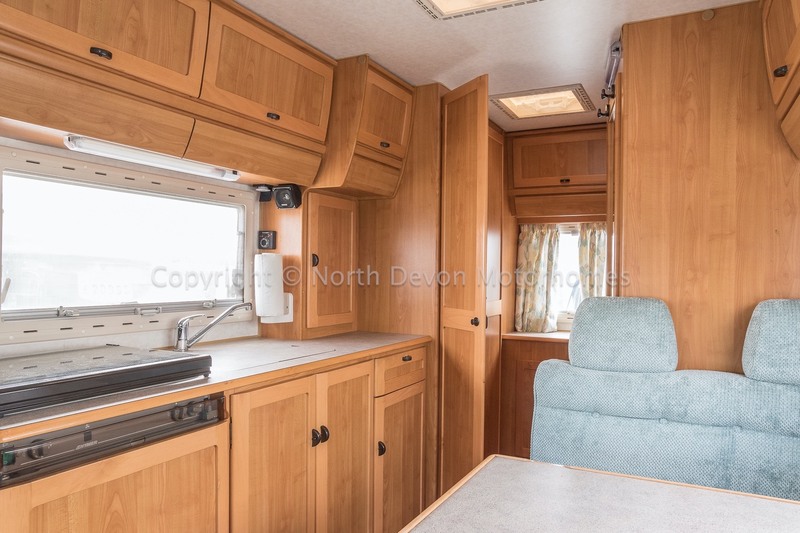 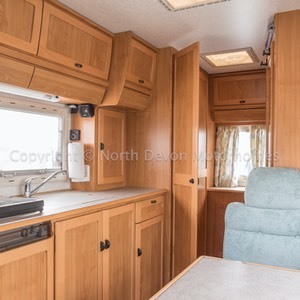 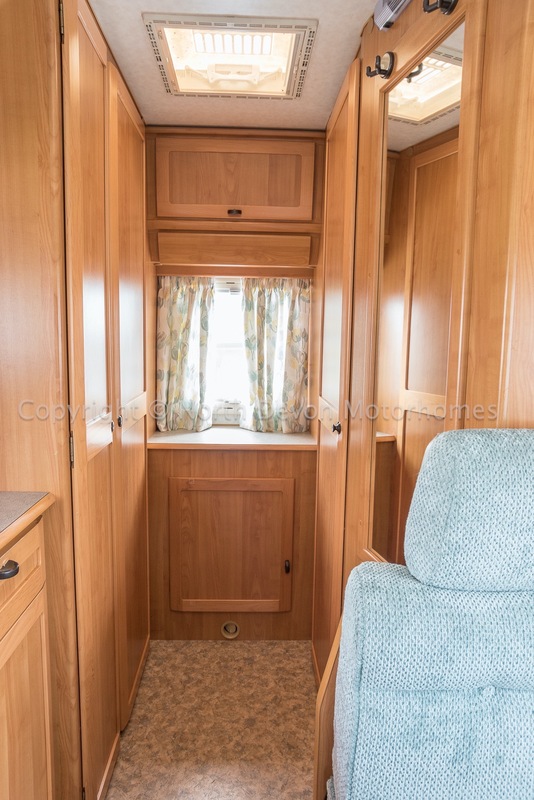 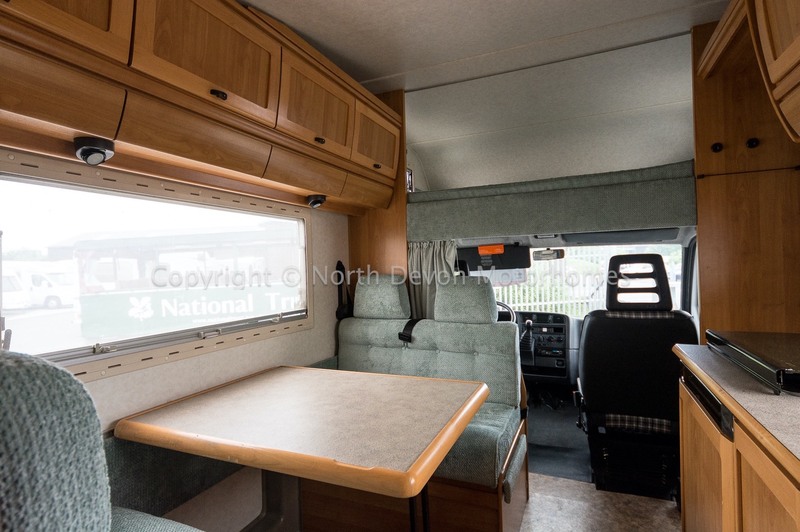 Beautifully kept by its former owner/keeper with a full interior refurb/upholstery refit. 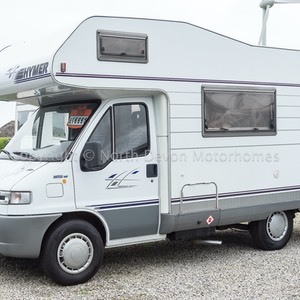 Strongly recommended viewing/buying, ideal European tour. 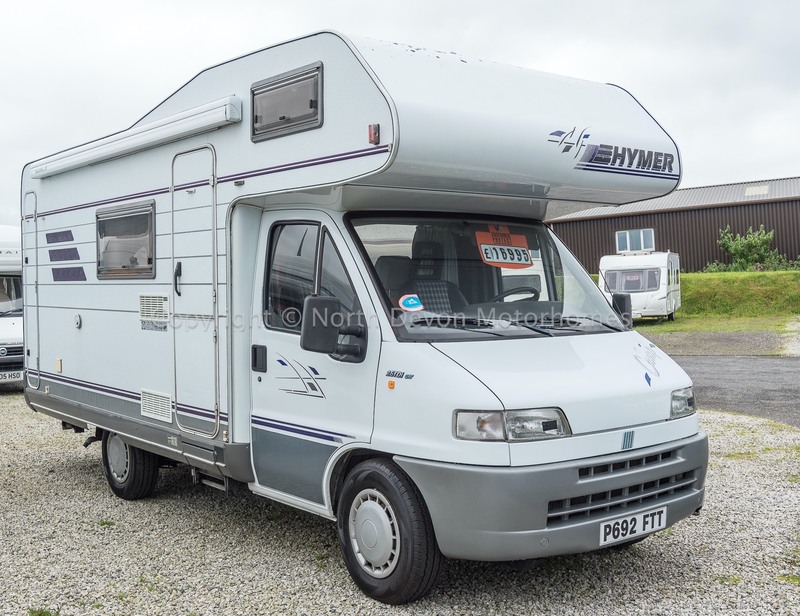 Price: £13,995 Sensible offers and part exchange considered.